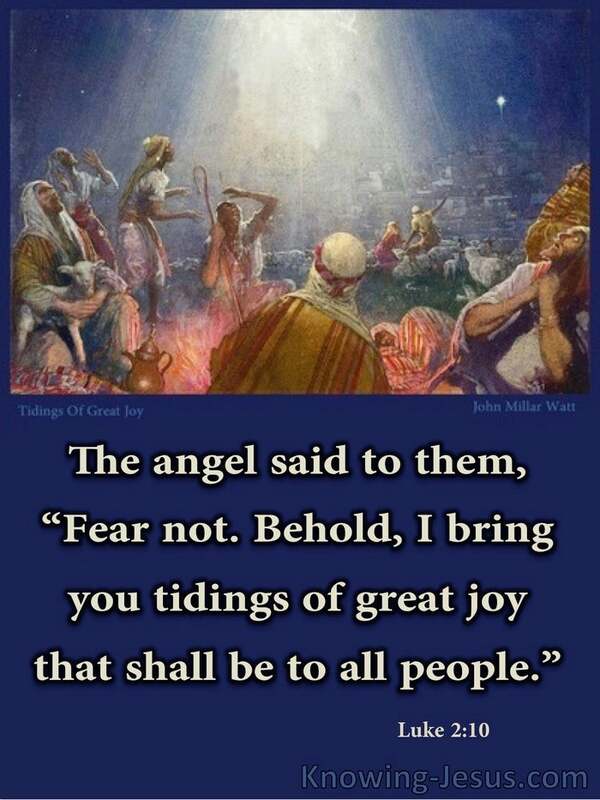 The angel said to them, “Don’t be afraid, for look, I proclaim to you good news of great joy that will be to all people. The account of Christ’s birth in the little town of Bethlehem is a beautiful story – just like the birth of any precious infant that has just entered the world. But how different was this nativity from any other childbirth … for this little helpless newborn baby, Who was wrapped in swaddling clothes and laid in a manger, was also the omnipotent God of the universe, Who holds all things together – by the might of His eternal power. The arrival of this infant was proclaimed by a host of angels, who lifted up their voices in a glorious anthem of praise, announcing the birth of a Saviour Who is Christ the Lord. But their joyous pronouncement must have been tinged with astonished wonderment as they witnessed the Creator of the universe being born as a tiny fragile baby, into the world that He Himself created. Great is the mystery of godliness, for God was manifest in the flesh and they shall call His name Immanuel, which means, God with us. The beautiful chorus that rang through the night sky – that was being sung by the heavenly choirs of rejoicing angels, must have been a strange sight – for angelic beings are not the favoured recipients of God’s amazing grace. Angles are not the ones Whom God in His kindness and mercy purposed to redeem. Redemption we read was the gift of grace, that was offered to the human race – so that whoever will believe on the only begotten Son of God will never perish but have everlasting life. How curious that simple shepherds, who were so despised by the Jewish leadership, should have been the first to be told of the arrival of Israel’s long-awaited Messiah-King – for this tiny infant was also God’s Great Shepherd of the sheep – the Good Shepherd Who lays down His life for His sheep… and one day He will return to earth as the Chief Shepherd, Who will award the crown of glory to all the under-shepherds of God’s little flock, who have faithfully fulfilled the work that God has prepared for them to do. How astonished that little band of shepherd must have been when first one and then a great multitude of the angelic heavenly host were seen rejoicing and praising God as they preached the good news of a Saviour – born that day in the city of David, Who would bring peace to men of good-will. Though their hearts may have trembled at the supernatural sight, they heard the comforting words: ‘Fear Not,’ which is a theme that floods through the gospel of the Saviour, Who is Christ the Lord. They no doubt had to search the little town of Bethlehem to find the Saviour, for the town was filled to overflowing with visitors. But their search was rewarded and they discovered the Saviour, Who is Christ the Lord, just as they had been told – wrapped in swaddling clothes and lying in a manger, because there was no room for Him in the inn. And they worshipped Him and glorified God for His inestimable gift – marvelling at all that had happened. And all who heard it wondered at what the shepherds told them. 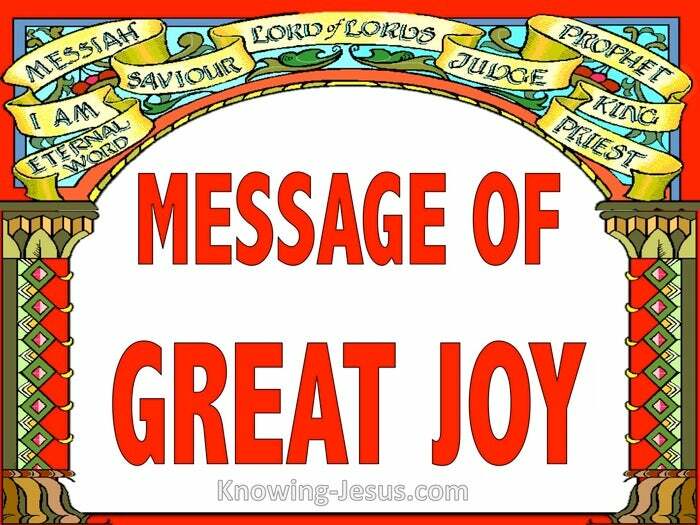 What a wonderful example was this trusty band of simple shepherds, for they received the message from the Lord with joy, and straightway acted on it in trusting obedience. They hearkened to all that was told them by the angelic host and discovered the tiny, little, helpless newborn babe – wrapped in swaddling clothes and lying in a manger, just as they had been told. They trusted God’s message. They believed that this infant truly was the promised Messiah and they glorified God for His grace and mercy as they humbly returned to their duties.. sharing the good news with others… by the way. Should not we trust the message that God Himself has sent through His Word – the Word made flesh. Should not we believe all that we are told by God through His living Word and in His written Word. Should we not have faith in that ALL God’s promises to us are Yes and Amen in Christ Jesus our Lord. Should not we worship and glorify God for His grace and mercy as we humbly set about our daily duties day by day – sharing the good news with others that we meet… by the way.